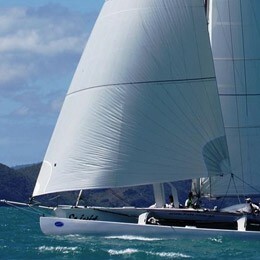 The tension on the upper shrouds is critical to the upwind shape of primarily the jib and to a small degree the mainsail. For maximum speed, it is important to aggressively adjust the tension on the upper and lower shrouds depending on wind and sea conditions. For the uppers, which get quite tight, we use a Loos model B tension gauge to measure shroud tension and adjust the tension depending on the wind strength using the following chart. Ensure headstay length is class maximum of 33’ with the standard through deck collar. Mast heel should be 9” from front of bulkhead. The lowers have a lot of control over the shape of the main because of this and it is very important to be sure they are adjusted correctly. Below is a chart of the settings on the upper and lower shrouds that we have found fast. After you have set up the uppers to the correct wind speed, sail the boat on both tacks checking the mast side to side and adjusting the lowers according to the wind speed. After you have sailed the boat a while you can create a chart of the shroud tensions and the number of turns needed to be put on or taken off the shrouds for each significant change in wind speed. Note that in heavy seas you will want to err a little bit on the light side (for more power) and in flat water you can err a little bit on the tight side. We like to set the boat up for the lightest wind speed we expect to see. Then if the wind speed changes significantly we adjust our shroud according to our chart in between races. Having a base setting using your light medium numbers is a good way to leave the dock each day for the races. It is easy to go up and down from there. Develop this habit and you will find tuning the rig is not such a mystery but actually rather simple. 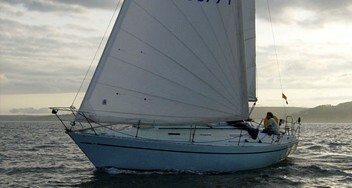 Mainsail: Like other boats main trim on the J80 in keyed off at the end of the top batten. In light to moderate air we trim the main so that the telltale on the top batten is stalled about 25% of the time. As the wind increases, the telltale will fly all the time. 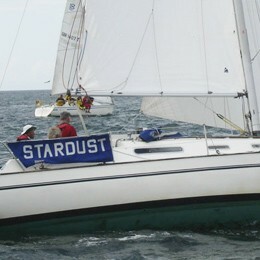 In light to moderate air, the back end of the top batten should be parallel to the centreline on the boat. In heavy air, it will be pointed out about 5 degrees. There is a fine line on having enough tension for good pointing ability and over-timming the main. Usually most over-trimming occurs in light air. Jib Trim: Because the jib on the J80 is a high aspect sail (tall and skinny0 it is very sensitive to small adjustments in jib sheet tension. 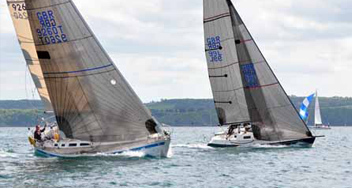 Tightening or easing the jib sheet ½ “ can have a big effect on boatspeed and pointing. To start, position the jib lead even with shrouds so that the luff of the jib breaks evenly from top to bottom. Remember that if the bottom of the luff breaks first move jib back. If the top breaks first move the lead forward. We have placed a telltale on the leech of the jib to help you judge how tight or loose the sheet should be. The general rule of thumb is to trim the sheet hard enough so that the telltale is just off the edge of stalling. As with the mainsail, it will be easy to stall the telltale in light air. 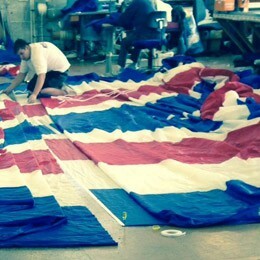 Jib Halyard Tension: Adjust the jib so the luff of the sail has slight wrinkles coming off it. 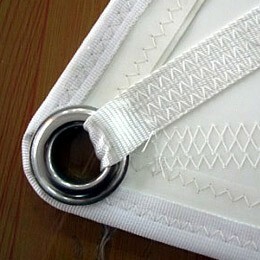 It will be necessary to change the tension depending on the wind speed to keep a slight hint of wrinkles at all times. 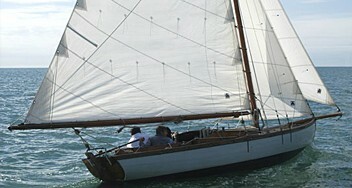 In very heavy air, tension the luff so that the sail is smooth.